ProjectStrong is a STRENGTH and CONDITIONING program specifically for older adults who want to continue to live healthy active lives. 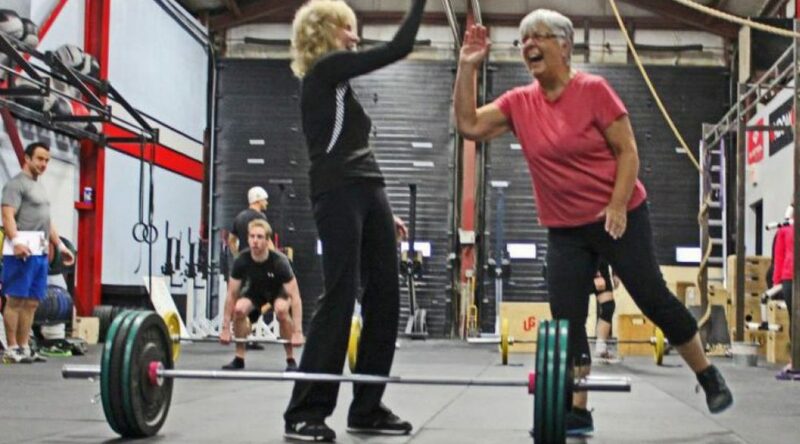 ProjectStrong is based on CrossFit principles and tailored specifically to the needs of older people. We use a variety of traditional (barbells & dumbbells) and non-traditional methods to build and maintain muscle and endurance … in a fun, social class format. So you can continue to do the things you like to do outside the gym. Come and check us out! It’s not like anything you have done before….